It was another historic day in Abeokuta, Ogun State capital on Friday, April 13, 2018. One thousand (1000) rural women from the three senatorial districts of the state received ten thousand (10,000) Noiler chickens under the state government’s women empowerment programme in collaboration with the British American Tobacco Nigeria Foundation. Agriculture, in simple terms, is defined as planting of crops and rearing of animals. Nigeria is essentially an agrarian society with over 70 per cent of the farming population being small holder farmers. The peasant farmers, especially in this part of the country, till the land. They mostly keep fowls and animals as pets, hardly constituting a source of food. The current initiative of the state government will be an added impetus to its massive investments in the sector. To mention a few somewhat in parenthesis, the Ibikunle Amosun administration invested in heavy land-clearing equipment in a scale never witnessed in the annals of the state in 2013. Just recently, another investment was made on farm machinery. Hundreds of acres of land have been cultivated. 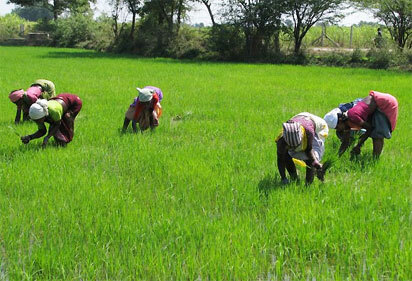 More hectares are being cleared for rice production after the successful launch of MITROS Rice last December, turning Ogun to a rice-producing state in the country. Many private investors are making their presence felt in the sector with thousands of direct and indirect employment generated. With the encouragement from government, many rural farms have been established and hundreds of agriculture cooperative societies have benefited from the Commercial Agric Loan of the state government. In one year alone, the Ogun State government produced and sold one million cocoa seedlings to farmers at highly subsidized rate in order to reinvigorate the industry. 70 hectares of Cassava Multiplication Plantation were cultivated for the generation of cassava cuttings that meet industrial and nutritional needs of the populace. The state government equally built model Farm Estates with modern houses in order to encourage graduates of Agriculture and allied disciplines to practice and make the sector attractive to youths. It fills you with some nostalgia and quite exhilarating was the sight of hundreds of rural women with the locally made chicken cages. “Amosun is a governor of the masses,” one of them declared, grinning from ear to ear. “This has not happened in the history of this state,” another woman enthused. In comparison with the local breed, the Noiler chicken is a dual purpose bird. When fully grown, it’s twice the size of the local fowl and lays three to four times the number of eggs of the local breed. In no time, the 10,000 birds will become hundreds of thousands. The multi-colour Noiler breed is a product of cross breeding of the broiler and cockrel chickens. There is no doubt the project will raise the profile of animal husbandry in the state, improve the protein content of the local dwellers and generally raise the standard of living, especially in our local communities. Of course, the few arm-chair critics continue to have their say while the good people of Ogun State continue to enjoy the Ibikunle Amosun administration, which they overwhelmingly voted into office. The Mission to Rebuild Ogun State is clearly on course and this government will not be distracted by the propaganda from the camp of the opposition. The post Boosting rural agriculture in Ogun appeared first on Vanguard News.